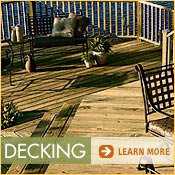 Build a sturdy deck and you'll get years of enjoyment from it. 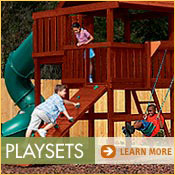 In some ways deck building is a rather complex do-it-yourself project, but, since decks do not have to be leak proof or perfectly built, it is well within the scope of most novice builders. This website will provide you with the information you will need to do the work efficiently. Deck building can be a demanding job both physically and mentally. It is, however, very rewarding. It moves quickly and will give you a pleasing living area for a small price. If you don't yet have a pressure sprayer, think about getting one. With a sprayer you can quickly handle all sorts of exterior maintenance chores, from brightening and sealing a deck to cleaning siding, screens, driveways, and patios. Mix deck-brightening solution as directed by the manufacturer. Apply the solution with a pressure sprayer. Let the solution set for 10 minutes. Scrub the deck thoroughly with a stiff brush. Wear rubber gloves and eye protection. Rinse the deck with clear water. If necessary, apply a second coat of brightener to extremely dirty or stained areas. Rinse and let the deck dry, then apply a fresh coat of sealer or stain. Spend a single weekend building a porch swing or a window box and you'll reap the rewards for years to come. 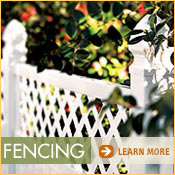 For an outdoor project that lasts, select weather-resistant building materials, use solid construction techniques and apply the right protective finish.